These miniature comics are perfect for trick-or-treaters or Halloween party-goers! Buy them in sets of ten at my shop, buy them in a set with comics by other cartoonists, or see below to download copies you can print and assemble yourself. 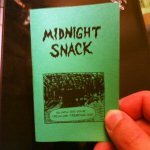 Midnight Snack – a weird treat from the creepy house. 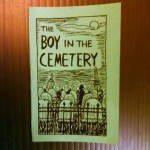 The Boy in the Cemetery – a trick-or-treater may not be what he seems! 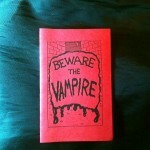 Beware the Vampire – Vampires have their vulnerabilities but it’s best to avoid them altogether (plus: a bat maze)! 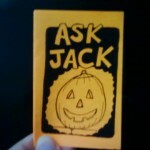 Ask Jack – Silly jokes plus a pumpkin puzzle!